“We are what we repeatedly do, excellence then is not an act, but a habit.”- Aristotle. AIC has a hard-earned reputation for high standards of teaching, pedagogical leadership and student achievement. For us every angel matters, and we take the academic, social and emotional development of each child very seriously. 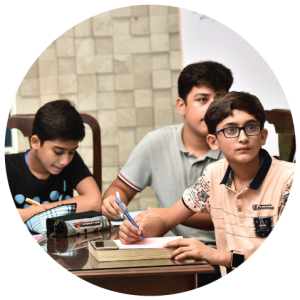 We at AIC offer IB-Middle Years Programme which is a challenging framework for learners of age 11-16, that encourages students to make practical connections between their studies and the real world, while making them assertive and articulate members of society at large. Academic Year 2016-2017 added another feather in our cap since we bagged authorization to offer Middle Years Programme (MYP) by International Baccalaureate (IB). 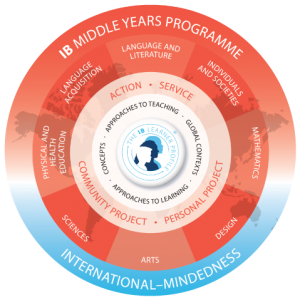 MYP encourages intellectual challenges, encouraging students to look deeply into the world they live in and understand the challenges faced by it. It fosters the development of skills for communication, intellectual understanding and global engagement essentials for youth in the developmental stages of being groomed as global leaders. One significant aspect of this programme is the empowerment of students through practical participation in service within community. Our first MYP batch of learners will take their e-assessment and graduate in December 2017. We look forward to working with parents in a long and successful partnership that spans six precious years of each student’s life – MYP-I to MYP-VI- concluding with online e-assessment and a prestigious IB-Middle Years Programme Certificate.